Lawn Care Business Marketing tips, tricks and secrets I have learned. Presented to you by Gopher Lawn Care Software. Visit our Lawn Care Business Forum. Home and garden show booth ideas for a lawn care business. Lawn care marketing on race cars? Sample spring lawn care customer letter. Promoting your lawn care services through an auction. Lawn care presentation at a big box store got me 9 jobs! Lawn care marketing strategies that have worked and some that haven’t. Compare your lawn care marketing plan to this one. How to market your gutter leaf cleaning services. 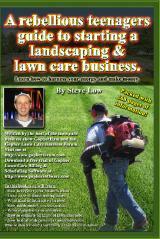 New lawn care business e-books available. I just got two of my lawn care business books available online as e-books which you can read on your portable devices and with the kindle book reader. Check them out. They are full of great lawn care marketing tips. How To Get Customers For Your Landscaping And Lawn Care Business All Year Long. Vol 1. Promote your lawn care business at a bank fair. How to market at a home show on the cheap. Spring lawn care marketing is gearing up. Are you getting your Spring lawn care marketing campaign together yet? A lot of lawn care business owners are. Here is a lawn care postcard that a member of the Gopher Lawn Care Business Forum got printed up. He will be sending out these cards soon. Tips for promoting your lawn care business at trade shows. Lawn care customer sales funnel. Have you spent much time thinking about your lawn care customer sales funnel? Many newer lawn care businesses don’t think about this so I thought it would be a good idea to bring it to their attention. Lawn care business flyer response rates. Have you been handing out flyers to try and promote your spring lawn care business services and not getting the response you thought you would be getting? There could be many reasons why this happens. Could it be your headline? Or maybe even your offer? Let’s look into this. Outdoor Halloween decorations and lawn care marketing idea. Ideas for marketing your lawn care business at a home show. Most area have local events like home shows where vendors can get together to promote their products or services for the home. If you really want to be a hit at the home shows, consider these marketing ideas. Lawn Care Business Training Step by Step. Lawn Care Estimation Calculator. & Power Washing Estimator. 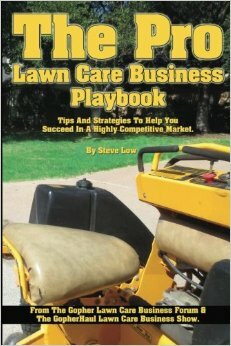 Read my Lawn Care Business Books. The Pro Lawn Care Business Playbook. 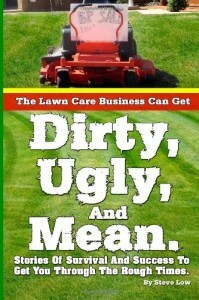 The Lawn Care Business Can Get Dirty, Ugly, And Mean. 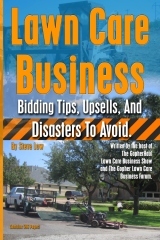 Lawn Care Business Bidding Tips, Upsells, And Disasters To Avoid. 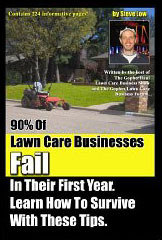 90% Of Lawn Care Businesses Fail In Their First Year. Learn How To Survive With These Tips! How To Get Commercial Lawn Care And Snow Plow Customers. 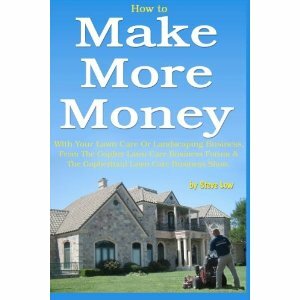 How to make more money with your lawn care business. Tips, Tricks, & Secrets to help your lawn care business grow. 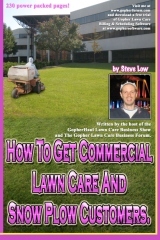 Learn tips and secrets on how to get customers for your lawn care business. What the hell are you doing with your life? A depressed office worker�s life had become a speeding train to no where until he found happiness with a start up lawn care business. GopherHaul Extreme Lawn Care Business Tips. 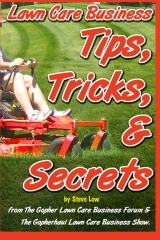 Over 300 pages of lawn care business tips and tricks. 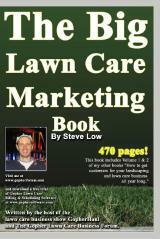 The Big Lawn Care Marketing Book. 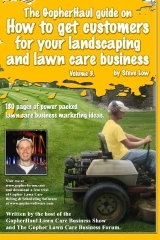 470 pages of lawn care business marketing ideas. A rebellious teenagers guide to starting a landscaping & lawn care business. Learn how to harness your energy and make money. 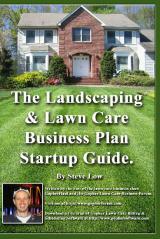 The landscaping and lawn care business plan startup guide. How to get lawn care customers. Take the guess work out of your lawn care marketing. 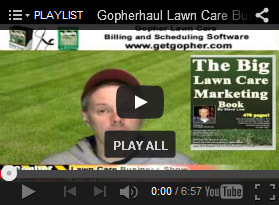 The GopherHaul Lawn Care Business Show Episode Guide. to run your lawn care business. Is this lawn mowing sign idea good or bad? Using a lawn care postcard mailing service? Would any of these lawn care marketing ideas work? Compare your answers to these 5 lawn care business questions. What I learned from my previous lawn care employer. I put out a flyer offering free mowings and this happened. A lawn care customer cut my pay because I worked fast. Something doesn’t sit right about this lawn care customer.